4k00:19Famous Castle In Water In Lisbon, Belem Tower With Tourists. Belem Tower is a fortified tower located in the civil parish of Santa Maria de Belem in the municipality of Lisbon, Portugal. 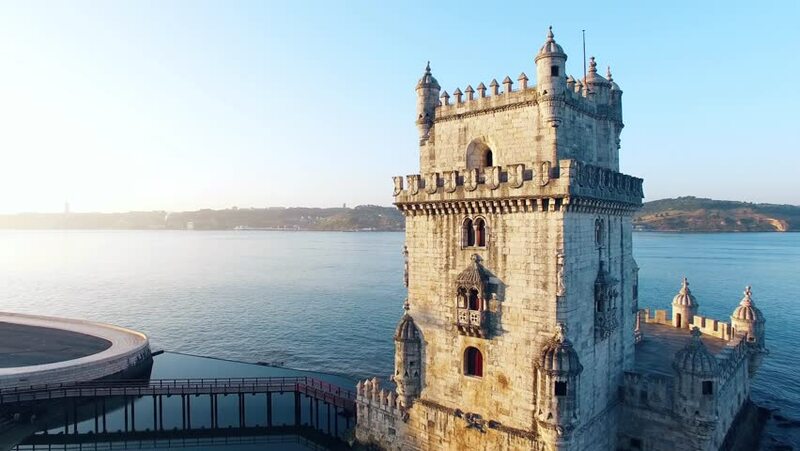 4k00:18Timelapse: Belem Tower, Torre de Belem, or the Tower of St Vincent, a fortified tower located in the civil parish of Santa Maria de Belem in Lisbon, Portugal. It is a UNESCO World Heritage Site.